Down syndrome (also referred as Down’s Syndrome) is a genetic condition. Humans typically have 46 chromosomes, however those with Down syndrome will have an extra whole or partial copy of chromosome 21. The most common case of Down’s syndrome is called Trisomy 21, which is when a person has an extra partial or full copy of chromosome 21. Less common forms include Mosaicism (when the extra copy of chromosome 21 occurs in only some cells) and translocation (when the extra partial of full copy of chromosome 21 attaches to another chromosome). This extra genetic material will change how a person develops physically and intellectually. The cause of Down syndrome is unknown, and it is a condition that occurs in people from all walks of life, races, economic levels, and from all geographic regions. It is estimated that about one-third of translocation Downs syndrome cases have a hereditary component. Additionally, women who give birth after the age of 35 have an increased risk of giving birth to a child with Downs syndrome. Although there are common physical characteristics that result from Down’s syndrome, it is important to note that not all people with Down’s syndrome “look alike.” Each person will have differing degrees of features, and their social and intellectual abilities will depend heavily on how they grow up. Parents can decide to have neonatal screening tests and/or diagnostic tests performed to detect Down’s syndrome before birth. In addition, people with Down’s syndrome have an increased risk of developing more serious medical issues like gastro-esophageal reflux disease (GERD), thyroid problems, respiratory problems, and heart defects. Can Down syndrome be cured or prevented? Because Down syndrome is a chromosomal condition, there is no cure. Therefore, much of the treatment for people with Down syndrome simply targets specific characteristics. For example, speech therapy helps children overcome the motor difficulties in speaking and makes their speech more understandable. It is also important to monitor cardiovascular and respiratory health. Children with Down’s syndrome who also have a cognitive or intellectual disability are eligible for educational support at school. With the right support, those with Down syndrome can go on to achieve many life skills and experiences just like anyone else. Many people with Down syndrome grow up to be independent, hold jobs, and live on their own. 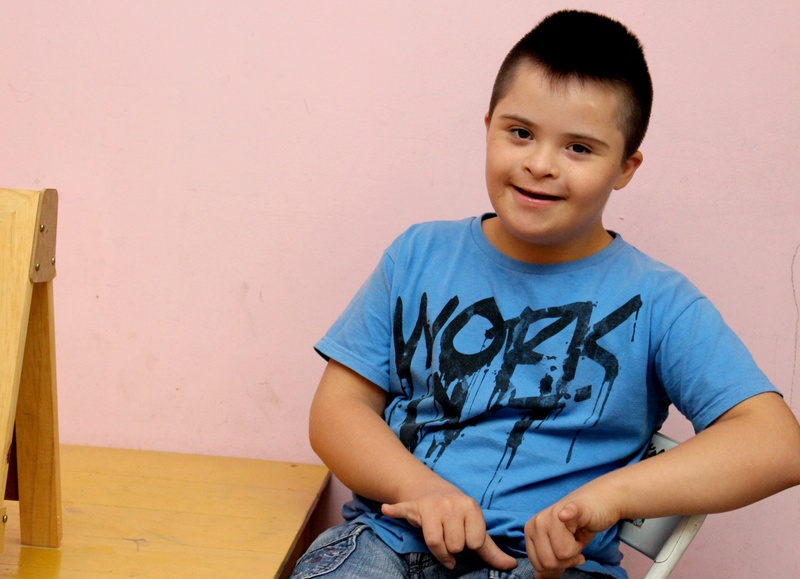 Caring and supportive families and communities are crucial for healthy development, which is why children with Down syndrome should not be isolated, go to different schools, or be precluded from participating in sports or social activities.